Cambridge is a leading provider of corporate outsourcing services including mailroom automation, automated inbound processing, messenger services and more. We help you keep your focus where it should be: on running your core business. Developing long-term relationships with key measurable deliveries is the backbone of what has kept Cambridge as being the premier corporate outsourcing provider in the New York metro area. Cambridge Services has over 2 decades experience in providing the hard to manage processes of large-scale mailroom operations. With solutions ranging from staffing, management, hardware and software. Cambridge corporate outsourcing is a premier service provider to premier fortune 500 clients located throughout the Tri-State area. The dedication and experience of the staff are backed by technology solutions that were developed internally to suit the unique requirement of the individual client. Each location Cambridge provides corporate outsourcing is provided with technology solutions catered to their needs with business needs throughout enterprise reporting, digital scan and capture, automated sorting and tracking capabilities. Cambridge corporate outsourcing solutions are leading in the facilities management division. Our experienced front house staff is highly trained with key service level expectations that are monitored and reported on a live basis. Outsourcing your facilities staffing services to Cambridge Corporate Services will provide you with industry-leading service on a consistent and measurable level. Cambridge Services corporate outsourcing service of records management is a critical part of your business needs and requirements. Identifying, labeling, and storing key documents is an intricate process that has no room for error. Cambridges’ outsourcing solutions have the experience to develop a new records framework or work with an existing infrastructure to determine cost savings measures through process improvement, overhead reduction, and record discovery. Your mail room staff has been doing a great job. They have been making our mailing necessities easier; especially their customer service skills are very professional. by the Mail Services Team. 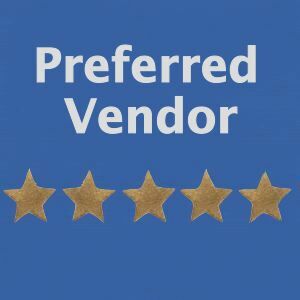 Yolanda and her team are professional, courteous and very helpful. It is a pleasure to work with them. 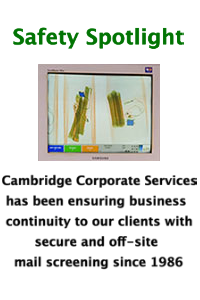 A leading provider of business solutions, Cambridge stays on the cutting edge of business and technology innovations. Our employees are our strength. They are well trained, background checked and receive a full complement of benefits. Our ability to be fluid in the shifting market times is what makes Cambridge services unmatched in the industry.